This glowing stack of rings was made for my sister-in-law, so it has an extra special place in my heart. 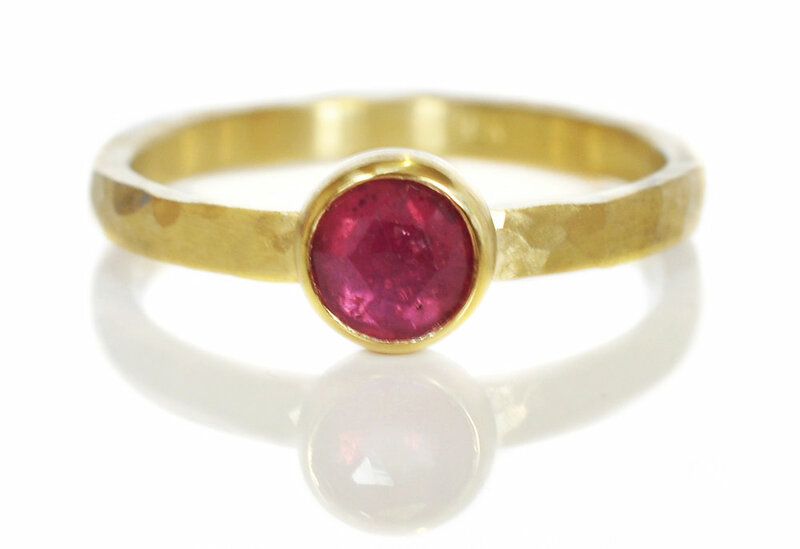 Pink rose cut sapphire, bezel set in 18k yellow gold with a hand hammered finish. Stacked with a 14k green gold band with a linear hammered finish.